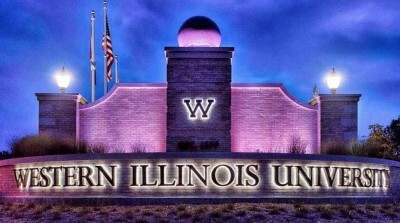 At Western Illinois University (WIU) it was announced at the conclusion of the spring semester that degree programs in African American and Women’s Studies would be eliminated. Programs dealing with these important areas of academic research would continue on a downgraded level. The decision to cut these programs was made by the Board of Trustees saying it was carried out after careful consideration and discussion. WIU will allow students to minor in the program areas. Additional degree programs including philosophy and religious studies were also removed. Providing a rationale for the nixing of the degree programs, the WIU registrar’s office said that not one degree in African-American studies and only two degrees in philosophy, women’s studies and one degree in religious studies were earned by students in the current graduating class. Neumann emphasized that the academic fields will still have a presence on the Macomb and Quad Cities campuses, noting that the students who are currently majoring in these areas will be allowed to complete their degree programs. Nonetheless, the resolution to eliminate the degrees which passed the board of trustees emphasized that the decision could result in employees being retrenched. The decision to remove the degree programs did prompt opposition from both faculty and students. Although the university trustees claimed that its decision was not based on financial considerations but on lack of enrollment, the two areas of governance cannot be separated. The overall slashing of assistance programs from both the state and federal governments are a major contributing factor in the operations of higher educational institutions across the country. In the state of Illinois, the legislature has been in a battle over the fiscal budget. The state went for an entire year without an agreement over a budget impacting education, municipal and social services. WGN TV emphasized the severity of the crisis saying absent of an agreement the results could be catastrophic for various sectors of the economy and public sector. The deadlock between the legislature and the governor is hampering investment into the state. This situation in Illinois involving education and other public expenditures follows a pattern over the last several years where attacks on programs which challenge the dominant Eurocentric and male-oriented approach to scholarship have increased. This is coupled with the worsening problems of declining municipal services and infrastructure related to water, public transportation, environmental quality and assistance to low-income families and their children. These cuts in academic programs are not only occurring in higher education but also in the public schools. In Chicago over the last four years, the teachers union has engaged in strikes and mass demonstrations in protests against the elimination of programs, the closing of school buildings and the reduction in salaries and benefits for educators. In the city of Detroit, the imposition of emergency management in the public schools system periodically since 1999 has not only brought the district into near insolvency. The elimination of music, art, sports and other programs have severely reduced the quality of the education given to mainly African American and Latino youth. At Wayne State University in Detroit, a decades-long center of higher education for working class and nationally oppressed peoples has experienced huge budget cuts prompting the raising of tuition and housing costs. Enrollment is down substantially while the largest corporations operating in Michigan are given huge tax breaks which are now threatening to send the state into monumental budget deficits and consequently more austerity measures. With specific reference to academic programs aimed at the recruitment and quality education of oppressed groups, under the guise of deficits and budget tightening, these programs are being rapidly eviscerated. Academic programs and curriculums designed to re-correct the racist and sexist approach to instruction and research, which were brought into the education arena as a result of protests and debate, are once again becoming the subject of ridicule and liquidation. Certain states such as Arizona and Texas have placed restrictions on what can be taught about nationally oppressed groups within the public education system. In Arizona House Bill 2281 was passed in 2010 threatening districts with the loss of funding if they did not eliminate courses on Mexican American studies. These actions however sparked a movement which insisted that these programs be reintroduced into the school system. Teachers and students held classes outside the schools igniting demonstrations which have gained some results in Arizona, Texas and California. The only way in which the maintenance and reintroduction of these academic programs servicing African Americans, Latinos, Women and other groups subjected to national and gender discrimination can continue is through a similar process that brought about their origination during the period between the 1960s and 1990s. Students backed up by their communities took over buildings and shutdown campuses creating a crisis that the administrations and the broader political establishment could not ignore. With the growth of people of color communities throughout the U.S. and the rapid transforming of so-called “minorities” into majorities, militant action will be required in order to make public education relevant to these constituencies. These struggles must be combined with the fight against austerity which is a direct result of the crisis in modern-day capitalism and imperialism globally.